What a day of November racing! We’ve got terrific stakes action from Del Mar, including the G1 Hollywood Derby. 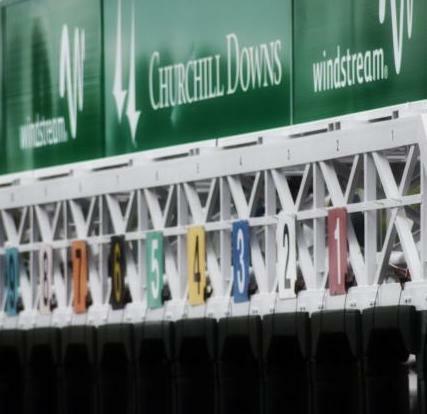 But I’m going to turn my writing attention to Churchill Downs for the GII Kentucky Jockey Club Stakes — a little before 6 o’clock Eastern time as the 11th race. It’s a 2 turn 1 1/6 mile route for 2 YO’s with a purse of $200K. When May comes around and the horses line-up for the Kentucky Derby, you’ll always looking for a win over the track — today is the day to get it. I won’t be focusing on it, but there also is the Golden Rod Stakes — with identical conditions for fillies. Oaks watchers should pay attention. Gotta Go — He’s had success over the track (2 for 2) although all at one turn. Seems to like the surface and Ian Wilkes loves training these closers. Might just be a steal at 6-1, if you think the pace will be there. DIamond King — He’s fast, but at Parx. In these Derby Trail races, I almost always automatically eliminate these entrants. The class check is too much, only received for the great ones, like Smarty Jones. John TIppman — best lifetime performance last out over this track. Only fast enough for minor awards, but he may give some good value is the Trifecta is your bet. Arrival — he’s a fast last out maiden winner; seems like another usual easy drop, but this is an 800K purchase. But, he’s a drop. Givemeanimit — This guy is dropping down from 3 consecutive G1s; solid 4th (in a field of 13) at 60-1 odds in the Juvenile. In a GII, I really like horses that can perform at the classiest level and he had solid, not spectacular, outings. Enticed — Skipped the Juvenile after a solid 3rd in the competitive Champagne. First time 2 turns — probably not a problem for this son of Medaglia d’Oro. Promises Fulfilled — win over the track and an allowance win at Keeneland. First time 2 turns is a bit more of an unknown. He’s been working out great. High North — a not very fast last out maiden winner; an automatic toss for me. Reride — a bit of a puzzle. Ran great on debut and then returned to win a 2 non-winners of lifetime on soft turf at a mile. Despite these plusses, would seem to need to be faster to have a shot. That’s possible, given his first-time dirt routing. Bravazo — On the board in stakes company in his last two — that’s the likely ceiling today as well. Quip — Stylish allowance win after a 12-1 maiden score. Always pay attention to these Winstar/China Horse Club horses. But still probably too slow to pull off the win. Tiz Mischief — Another fast out last out maiden winner; unless it’s a special performance, I pass. Lone Sailor — Like Bravazo, he’s been underneath in the last two races — both stakes. Unliked Bravazo, he might have the speed to win this one. Peppered — A Canadian polytrack import. A good performance in the Grey, but it was too slow to win here today at Churchill Downs. I like Enticed anywhere around 3-1 or higher. The class is there and already showing. I’m also giving long looks to Givemeaminit, dropping from Grade I company.